I went light painting for the first time while in the Tetons. We had amazing time learning this fun technique. It was way fun and I am already thinking of cool things to light paint here in NE. This photo reminded me of the great hymn - How Great Thou Art. "I see the stars, I hear the rolling thunder, thy power throughout the universe displayed." 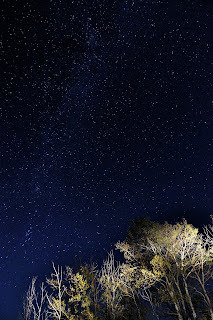 If you want a better view of the stars - just click on the photo and look what you see.